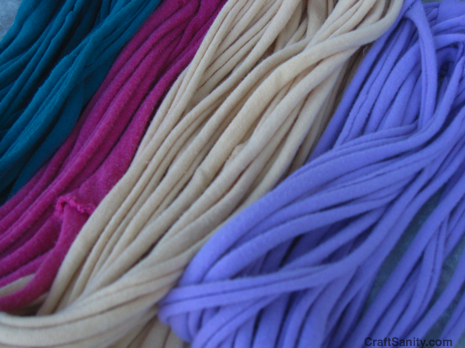 Soon after launching my loom business last summer I started collecting colorful t-shirts to use in my weaving projects. But every now and then I like to change it up and do a t-shirt refashioning project or some other jersey knit craft. Yesterday I made some t-shirt necklaces with my daughters. This is a fun project that can be completed in less than 10 minutes, so you get an excellent return on your time investment with this one. LOVE that! 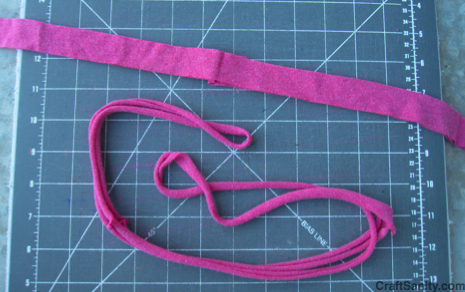 Next, cut the body of the t-shirt into 1″ loops. 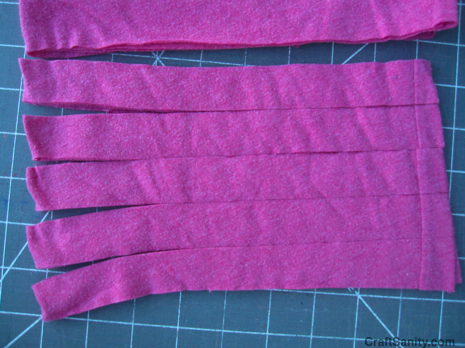 Cut through the front and back of the shirt at the same time to form giant loops. Don’t worry about the loops being exactly 1″ wide. Just eyeball it. No one will be able to tell. If you’re working with a fabric that won’t roll up nicely like this, put it aside and use it to weave a potholder or rug. It’s just not meant to be a necklace. 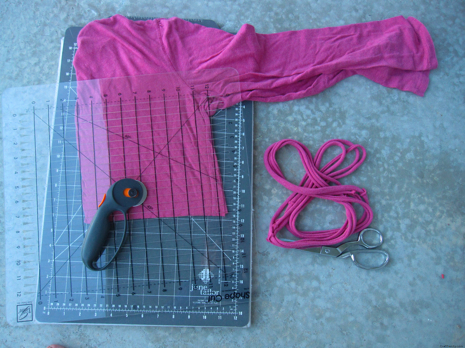 To save yourself from wasting time cutting up a dud t-shirt, cut one loop and stretch it. That way you know if you should keep cutting, or move on to another shirt. 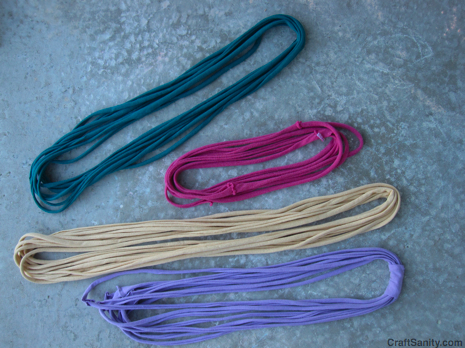 You can use these loops to make headbands, or slice up long sleeves to make yourself an armful of bracelets. However you do it, just remember to have fun. Then layer on your necklaces and head out the door. I don’t know about you, but I LOVE soft jewelry. Yep, I can’t get enough of the quiet bling.